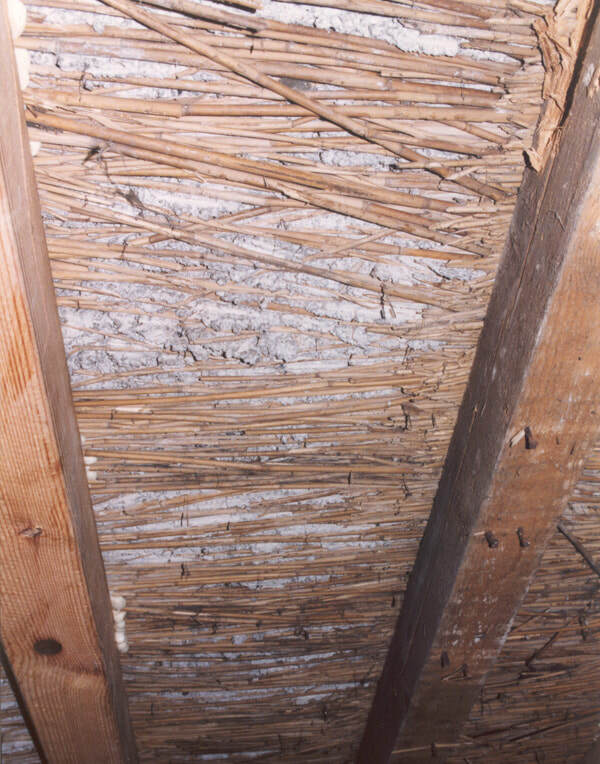 Lime-ash is the residue found at the bottom of a wood-fired lime kiln, consisting of waste lime and wood ash. These kilns became common in the early 15th century and continued to be used until newer technology replaced them in the late 19th century. 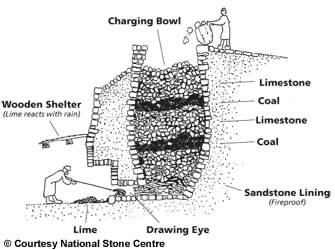 Lime-ash could also be made in coal-fired kilns. In areas where gypsum was common they were known as plaster floors. Lime ash was used on the upper floors of yeomans houses and in great houses such as Hardwick Hall in Derbyshire, where the upper surface would be buffed to a fine finish using a mixture of egg-white, curdled milk and fish-gelatine. A lime-ash floor typically occurs on the upper floors of a building. 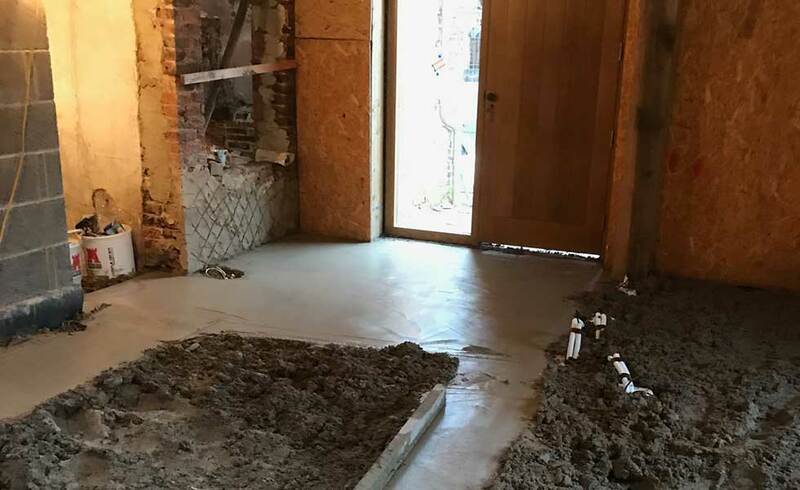 One can expect to find construction beams lying the length of the building with flooring joists being placed across at intervals of about 400mm (16 in). A bed of reeds (or similar grasses) is placed on the joists making a tight thatch. They are secured by placing oak laths over them and nailing these to the joists. A 50mm slurry of lime-ash composition is poured over the bedding material which supports it until the lime-ash has dried out. The reed bed acts as shuttering and laths add to the rigidity of the floor. However laths that are too tightly fixed to the joists hinder the movement the floor must have to cope with settlement and the structural changes during its lifetime which can be counted in centuries. Lime-ash is generally no longer available, so repairs and reconstruction are usually done using a mixture of lime putty, coal ash, Gypsum (Class A hemi hydrate fine casting plaster), unburnt loamy clay and burnt crushed tile. 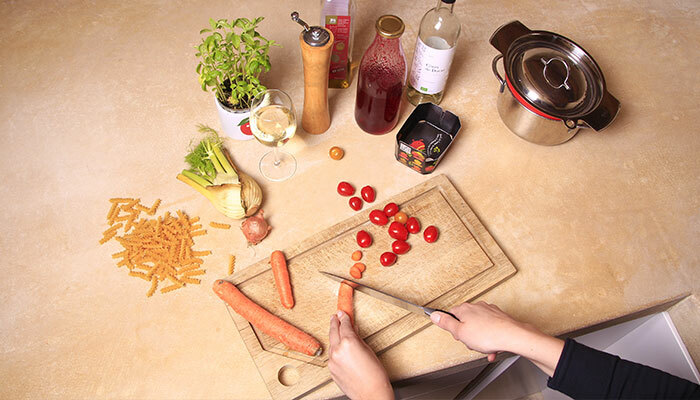 To this are added retardants such as Keratin (natural) or Sodium Citrate (manufactured). A thick insulative layer covered by a geotextile on bottom and top (to prevent moist from getting in) is used as a base. On top of the insulative layer you can create a limecrete slab. This consists of NHL5 lime mixed with sharp sand, sometimes glass fibres and lightweight insulative materials like expanded clay aggregates. You again need hydraulic Lime type NHL5 to get a nice, hard and durable surface finish. In this layer you can incorporate underfloor heating (UFH). The lime concrete has to reach a density of above 2200 kg x m3. To achieve this use an aggregate of 10mm down to 0.150. You might have to mix 3mm down, well graded sharp sand with fine gravel (up to 10mm) in a 50/50 mix. The dosage of lime (NHL 5) will be 400/450kg. per m3 of aggregate (1:2 by volume). 80mm thick screed: lay first 40mm (semi dry mix), level and compact well. Cure for 1 week with light water mist 2 times a day. Once sufficiently hard fix the heating elements on this layer. Put heating elements under pressure to check for leakages. Once satisfied that there are no leakages, apply the remaining 40mm of mortar, level and compact. Light spray the surface with clean water as soon as you have finished to compact. Curing: with a light water mist 3 times a day for at least 2 weeks. Do not use heating for minimum 3 weeks. Thinking of the properties of all natural plastering materials you can start combining them into a mix that gives you the best of each material. 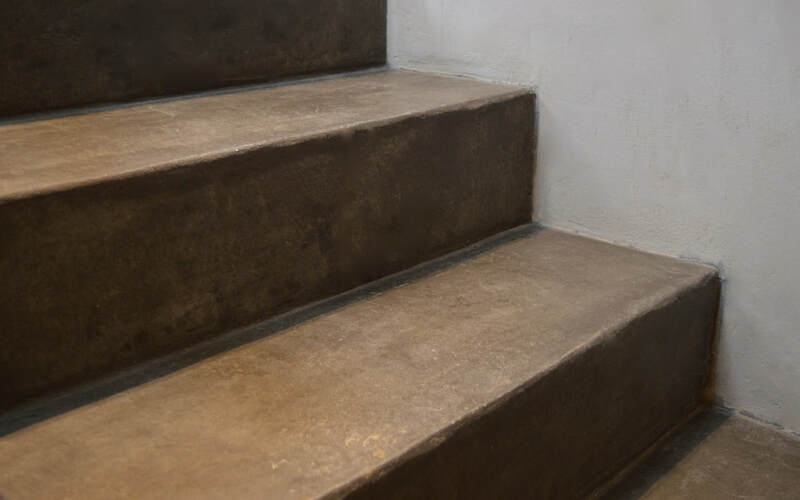 Usings the above materials in the right proportions you get a blend that will lead to a beautifull, hard and easy to apply floor! Its even possible to use this material for building a kitchen board!